What Exactly is the French Paradox? The French Paradox is a contradictory theory that completely contradicts real world facts. A French researcher named Serge Renaud surprised the entire world with his theory about The French Paradox in the year 1991 when he made his findings public. His research simply stated that the French do everything that is considered to be “’wrong” according to the Americans in terms of health and still manage to boast of a healthy lifestyle. They enjoy a high fat diet, don’t go for regular jogs and smoke. Still, they manage to live about 2.5 times longer than Americans. The study stated that this was mostly due to the “extra” consumption of red wine in France. The French are famous for eating rich food items like cream sauces, pastries and cheese. However, they don’t suffer from obesity the way the Americans do. One of the biggest differences is that the French don’t believe in shoveling food down their mouths. They believe in enjoying every bite and taking it slow. And since most of their meals contain red wine, things automatically slow down further. This helps them to digest their food better. 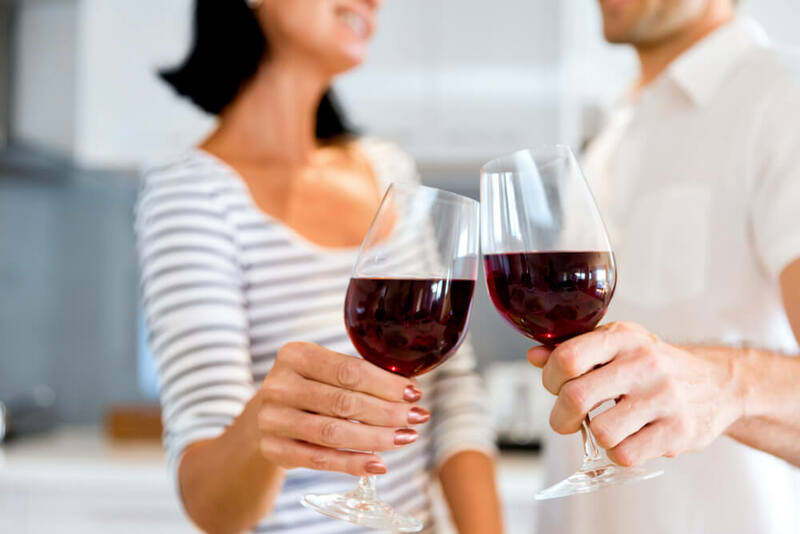 According to a study conducted by the Purdue University, red wine helps the French to stay healthy because of a substance known as piceatannol. This helps in inhibiting the formation of new fat and prevents fat from developing into mature fat. However, wine isn’t the only reason for The French Paradox. There are other findings that have cropped up as well. The portions are smaller in France – One of the biggest differences between the French and the Americans lies in their eating environments. The portions are noticeably smaller in France and as a result, the French actually eat lesser food. Cooking is very popular in France – Another difference between the two societies is that while the American society thrives on frozen and processed food, French prefer to cook their own food. TV dinners are virtually unheard of throughout France. The French prefer to stay away from sodas – The French are extremely fond of their mineral water and they are not known to dig sodas the way Americans do. This helps them to cut out on a lot of useless calories. The French take more time to eat – The French are also known to take longer to eat their food. All meals are supposed to be eaten at the table and there is no eating in front of the television. This helps them to digest the food better. When you compare the two lifestyles, it is easy to see why the French are more fit despite enjoying richer food. Yes, red wine plays a major role – not just in terms of inhibiting the formation of mature fat, but also in terms of defining the culture of eating. But, in the end, The French Paradox can be attributed to the French lifestyle, their eating habits and their diets.